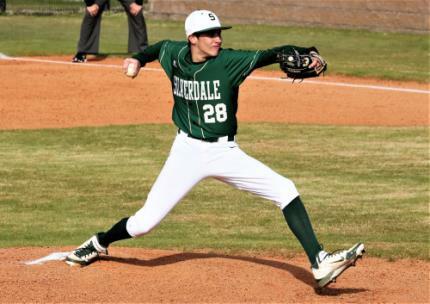 Silverdale pitcher Landon Franklin delivers to the plate. 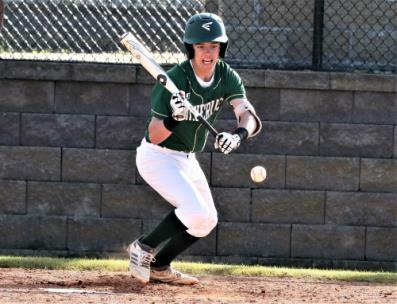 Silverdale shortstop Creighton Johnson sets to throw to first base. 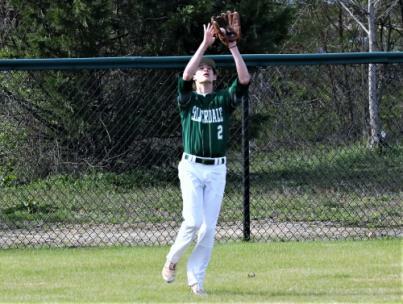 Seahawks' left fielder cade Delashmitt hauls in a long fly ball for the out. 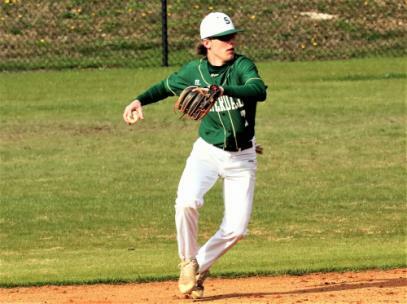 Silverdale's Creighton Johnson winds up for a throw from shortstop. 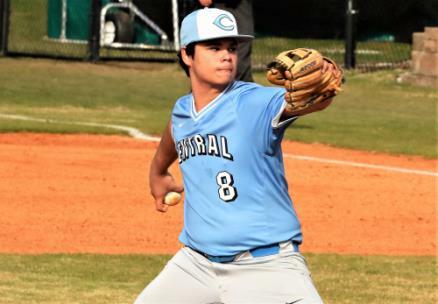 McMinn Central starter Elijah Reno goes through his windup before firing to the plate. 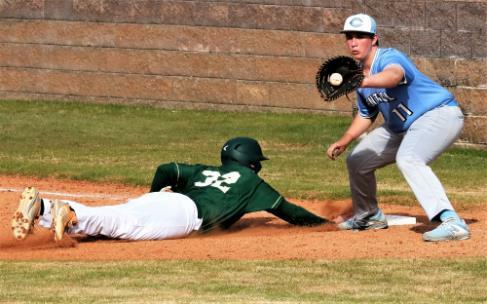 Silverdale's Sawyer Junkins (32) slides safely back into first as McMinn Central first baseman Dakoda Evans takes the throw. 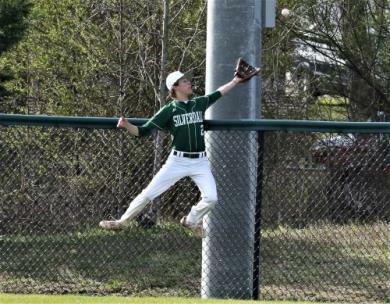 Silverdale left fielder Cade Delashmitt leaps high in an attempt to grab a homerun. 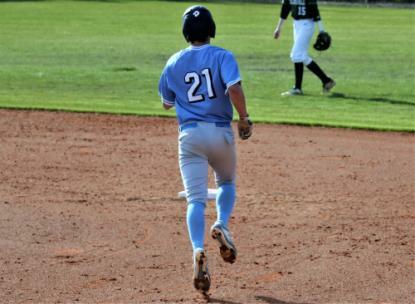 McMinn Central's Brody Cardin heads to second as he rounds out a homerun trot. 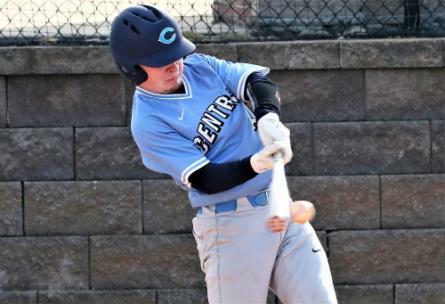 McMinn's Nathan Moss makes contact for a hit. 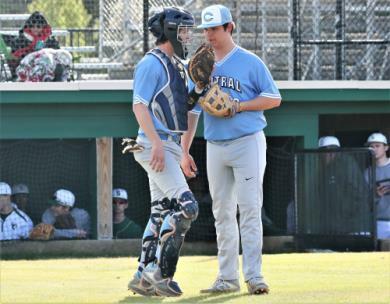 McMinn Central catcher Brody Cardin, left, and battery mate Elijah Reno confer on the mound. 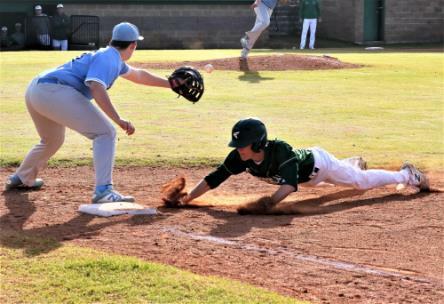 Silverdale's Turner Junkins breaks for first after laying down a perfect bunt. 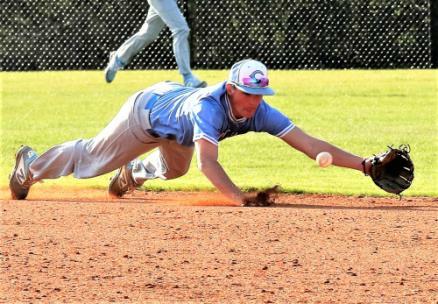 McMinn shortstop Dalton Tiberio makes a sliding attempt at a ground ball. 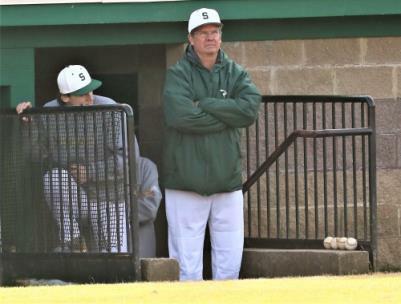 Silverdale's first year head coach Jon Massey surveys the action on the field. 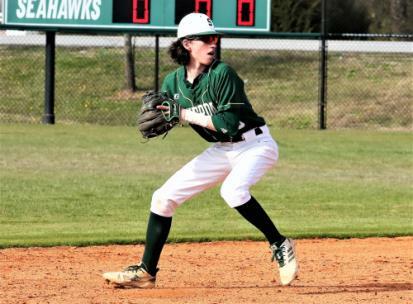 Massey has the Seahawks out to a fast 5-0 start. 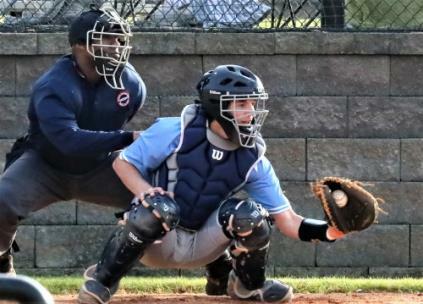 Chargers' catcher Brody Cardin squeezes a pitch.